This edition of The Week That Was is brought to you by Kellogg’s Froot Loops cereal, or as they say in Toucan Talk, Oot-fray Oops-lay. Almost everyone within the sound of my voice recognizes Toucan Talk as Pig Latin. Compared to Double Dutch, Pig Latin was a breeze. First, you’ll notice the QR code that had graced the page for a month or so is gone (and has been for a couple of weeks) and replaced by the badge for this year’s 10th Anniversary A to Z Challenge. The former is gone because they wanted money to keep using it, the latter just became available. 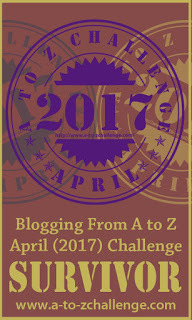 I hope everyone plans on participating in the A to Z Challenge. Signups start on Friday, March 1. 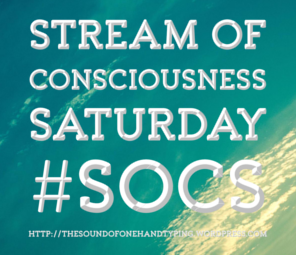 Watch this space and the Challenge blog for further updates. The prompt “ocean/lake/sea/bay” led me to the Jesse Fuller classic “San Francisco Bay Blues.” Always fun to pull that one out. Cathy is picking themes this month, and hers for this past Monday was “mail, soup, vacuum,” which I guess were the three “Day”s we celebrated last Monday. I managed to get my ten, anyway. Keyboardist extraordinaire (and DePaul University graduate) Brian Culbertson was the featured artist. I reviewed the Reiyin WT-01 Bluetooth transmitter, which I got as a way to provide Bluetooth capability to my old iPod. It’s a great solution to the no-Bluetooth problem. My latest batttle (or, as I said in the post title, “batle”), between Koko Taylor and Janiva Magness, ended in a tie. We visited Anniston, Alabama and radio station WDNG and examined their Top 10 from 1976. As was the assignment, I started and ended my post with an adverb, the bête noire of English teachers and Stephen King. Knowing they bother Steve that much just makes me want to use them more. Nothing out of the ordinary planned. Maybe something unplanned will show up. LOL that you want to piss off Stephen King. I never could do pig latin. Didn’t talk to my kids in baby talk either. I’m no fun. LOVE the new A 2 Z logo. We can start using it now, huh? I’m pretty sure I have my theme but I need to get to work on the actual content. It figures. Looking forward to it. Nice re-cap. Yay! for new A to Z. Time to get cracking on a theme. I vowed this year would be different. Or you can go themeless… whatever you want to do… My themes generally have me using random words, anyway. I went without a theme last year. This year I’m challenging myself. Good luck, then! To us, your theme is less important than your participation. Oh, my! I remember Pig Latin. I thought my parents wouldn’t be able to figure out what I was saying. Haha – wrong! They probably knew it better than you did.